Cool Crest in Independence will keep you and your family or group entertained and amused for hours. To learn more about the exciting attractions in Independence, just look below. 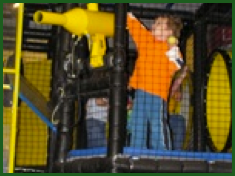 You’ll learn a little bit more about the fun we have at the park every day! 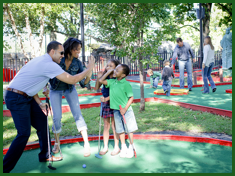 Cool Crest boasts four full 18 hole miniature golf courses, each with beautiful gardens and unique hazards. Play your round and shoot the bonus 19th hole for a chance to win a free game with the purchase of a game! Cool Crest now has Go Karts to make your visit even more of a blast! 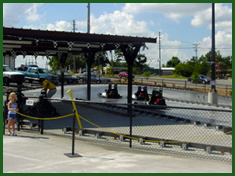 Feel the wind rush by as you race around in our “Open Wheel” style Karts! Height requirement for drivers: 56 inches or taller for drivers and 36 inches to 56 inches for passengers. To carry a passenger, the driver must be a minimum of 18 years old and hold a valid driver’s license. Appropriate Footwear Required for Rider and Driver. Closed Toe Shoes Highly Recommended for Your Safety. Cool Crest’s video game arcade is among the finest in the nation. 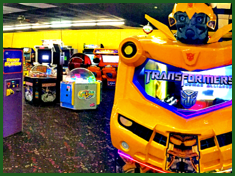 With over 7000 square feet of gaming area, there is sure to be something for everybody. Earn tokens for good grades. Kids are encouraged to bring their most recent report cards to receive one token for every “B” and two tokens for every “A”! Limit 20 tokens per student. Come check out the new batting cages at Cool Crest! 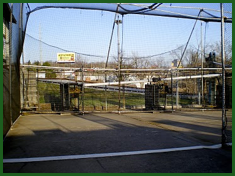 We have: 2 slow pitch cages, 2 medium, a fast pitch, and a slow pitch softball cage! Height requirement: Parents’ discretion. Closed-toed shoes required. Helmet and bat provided with photo i.d. Height requirement: Must be 55 inches or under and wear socks.